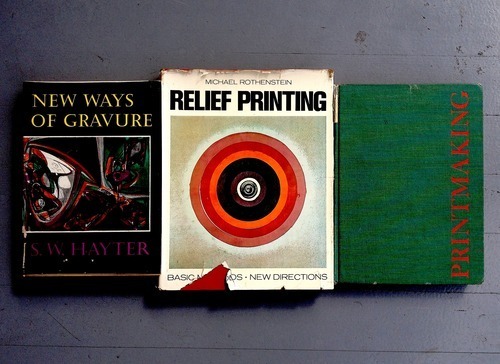 Not only do members get access to a studio fully equipped for intaglio, relief, screenprinting, and lithography, they also have the privilege of borrowing from our lending collection, which holds a respectable selection of books on printmaking, from the instructional to the historical. Some well-worn key volumes for me are pictured above. 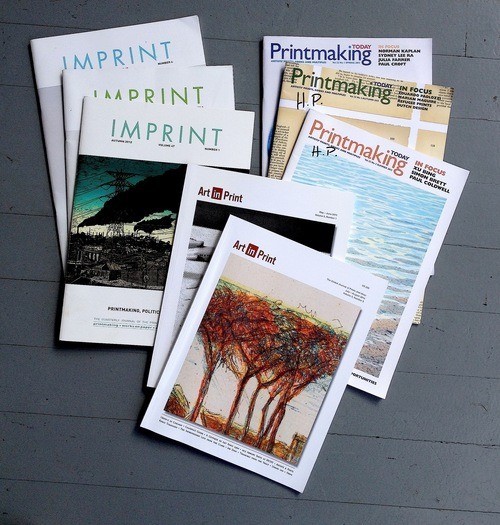 We also have current subscriptions to and back issues of several printmaking periodicals from around the world, including the relative newcomer Art in Print. All of these are available for 1-week loan to members only. You can also borrow various tools for relief and intaglio, and even framing tools like a mat cutter and framemaster.